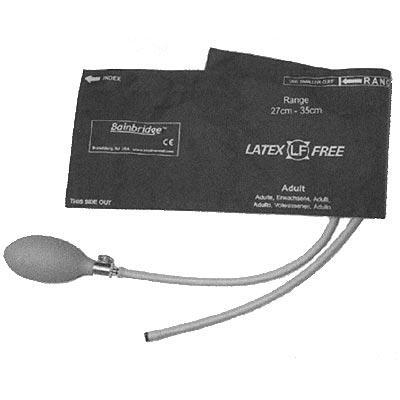 Complete Cuffing System include cuff, bladder, bulb, and valve. Design promotes accurate measurement on right/left arms. Exterior range finder assists determining correct cuff size.